Until recently there was no uniform stability theory. Different approaches to stability problems had been developed in the different branches of mechanics. In the field of elasticity, it was mainly the so- called static method and energy method which were used, while in the field of dynamics it was the kinetic method, which found its perfect expression in the theory of Liapunov. During the last few decades there has been a rapid development in the general theory of stability, stimulated, for example, by the investigations of H. ZIEGLER on elastic systems subject to non-conservative loads, and by the problems arising in aeroelasticity which are closely related to those introduced by ZIEGLER. The need was felt for kinetic methods which could also be used in investigating the stability of deformable systems. 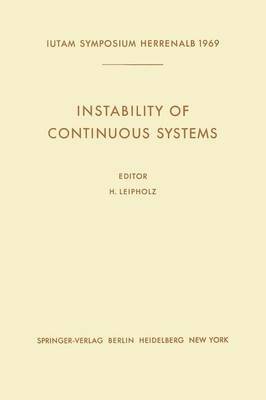 Efforts were made to adapt such methods, already known and developed in the stability theory of rigid systems, for application in the stability theory of continuous systems. During the last ten years interest was focused mainly on the application of a generalized Liapunov method to stability problems of continuous systems. All this was done in attempts to unify the various approaches to stability theory. It was with the idea of encouraging such a tendency, establishing to what extent a uniform physical and mathematical foundation already existed for stability theory in all branches of mechanics, and stimulating the further deve- lopment of a common stability theory, that a IUTAM-Symposium was devoted to this topic.